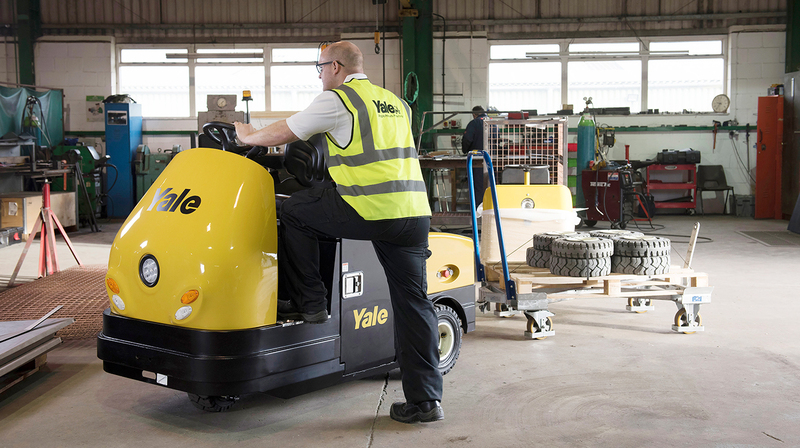 Yale Europe Materials Handling has expanded its tow tractor range with two new rider models, offering greater towing capacities. The new rider tow tractor is ideally suited to busy automotive manufacturing environments, as well as line-feed operations and just-in-sequence and just-in-time applications. What are its remarkable features? Capable of towing up to 7000 kg or 8000 kg respectively, the three-wheel MT70 and four-wheel MT80 tow tractors can be customised to support indoor to outdoor runs. The MT70 tow tractor can be fitted with roll-up PVC doors for outdoor use and offers outstanding manoeuvrability. The four-wheel MT80 tow tractor has a cab option with hinged doors that can be locked and provides stability over rough or uneven surfaces. The ergonomics-centric philosophy of Yale® is also present, with an easy one-step access into the tractor and a comfortable suspended seat. Both models are delivered fully prepped to work with the Yale Vision telemetry system, which provides convenient web-based asset management from anywhere, at any time. 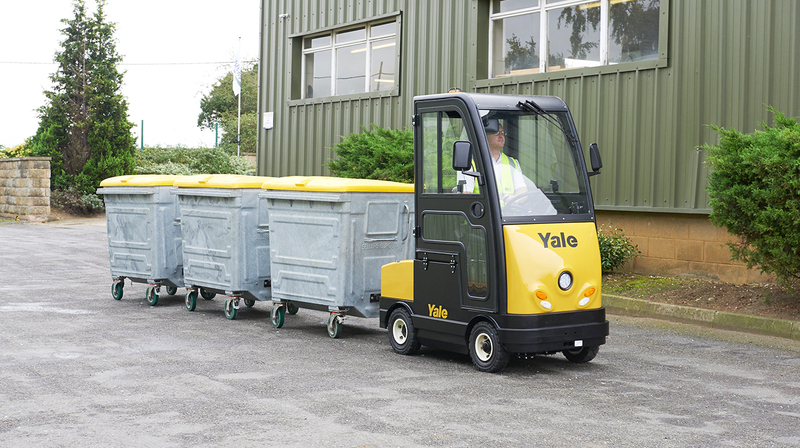 The rider tow tractors are fully compatible with the Yale modular tugger train system. The rider tow tractors help manufacturing operations transport material to production lines. As the rider tow tractor can complete transitional runs, it is ideal for the logistics ‘milk run’. The tow tractors can tow several trailers, delivering new kits to the line operators while collecting empty containers simultaneously. Customers can modify their solution to meet the exact needs of their line-feed operation. 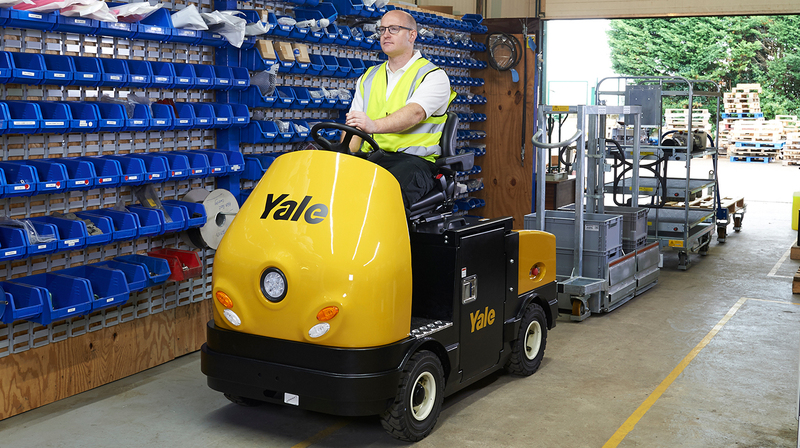 For more information on the full Yale tow tractor range visit www.yale.com or contact Automotive and Logistics Industry Manager for Yale, Tracy Brooks. This entry was posted in Automotive Industry, Design Process, Electric, Food Sector, Innovation, Manufacturing Sector, Telematics, Tow Tractors, Warehousing and Distribution, Yale Vision wireless asset management and tagged Affordability, Dependability, Electric, Ergonomics, Manufacturing, Materials Handling, People, Productivity, Products, Tow Tractor, Yale. Bookmark the permalink.